Soil Solutions® also supplies Solar Aviation Lighting and Tower Solutions for Small, Medium Large and Multi-runway Airports as part of our Intelligent Airstrips offering. 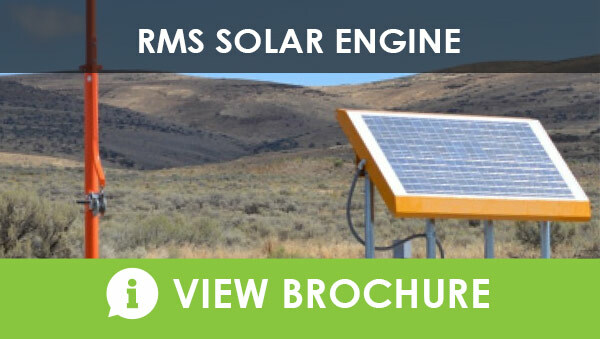 The Solar Series AWOS system is a fully compliant, proven solution for weather observation and reporting. This unit can be customized for use with small, medium large and multi-runway airports. All sensors are manufactured for strict adherence to the stringent standards of FAA and ICAO. Coupled with the physical sensors is a powerful software package to ensure that the weather information is available where it is needed, when it is needed. Complete system logs and reports – including METAR, SPECI, SYNOP, AIRMET, SIGMET, TAF and local reports can be called up, along with current and past alarms, system status and present conditions. The entire system is powered by a proven and reliable MAPPS solar power system. Each MAPPS is custom designed for a specific application and location, ensuring that the system will operate reliably, under any weather conditions. For full specification including all features and benefits view the brochure. The LED Perimeter Lighting System is a high-end security lighting solution using quality LED’s and an independent off-grid solar system that is AC/Solar hybrid and will help CCTV systems and guards patrol any highly secure area. These lighting systems are constructed of the highest quality materials, delivering a rugged system that is moisture and dust resistant and can operate in austere environments of -40°C to 55°C. Incorporating a patented design the lights provide not only up to 85% in energy savings compared to other systems, but also deliver maintenance-free operation for an expected 10 years. For more information on LED Perimeter Lighting Systems view the brochure. For the full specification including features and benefits view the brochure.